In Social Studies the students have started to learn about the English coming to settle in the New World and their arrival to Jamestown. We took this opportunity to talk about the settlers that were chosen to go and whether they would be considered a group or a community. Through an activity with statements about communities, the students moved around the room to decide if they strongly agreed, agreed, disagreed, or strongly disagreed with the statements, and then were asked to state their reason why. Students were able to come up with definitions for community and group. 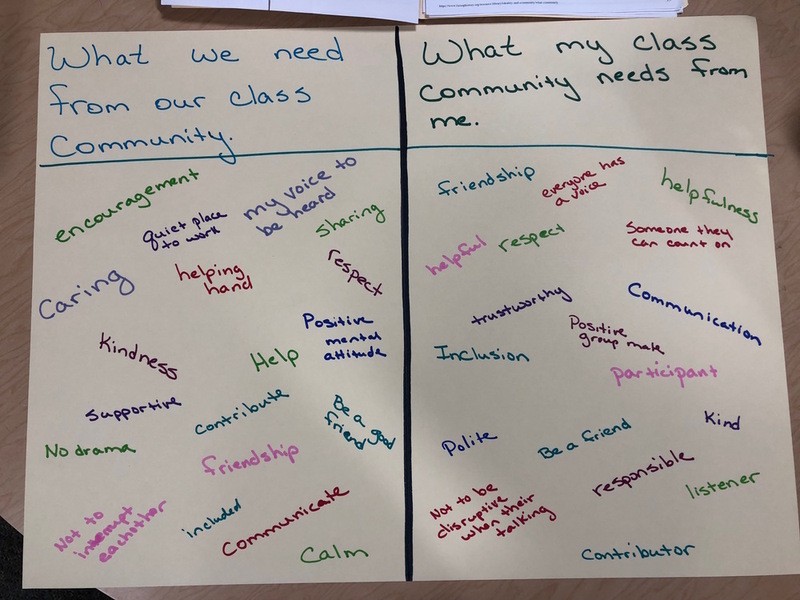 The students identified the class as a community and we documented what they needed to give to their class community and what they needed for the class community to be successful. We then made a class and school identity chart. After this, the students were introduced to the new class novel, The Giver. As we read, we made an identity chart for the book community as well.